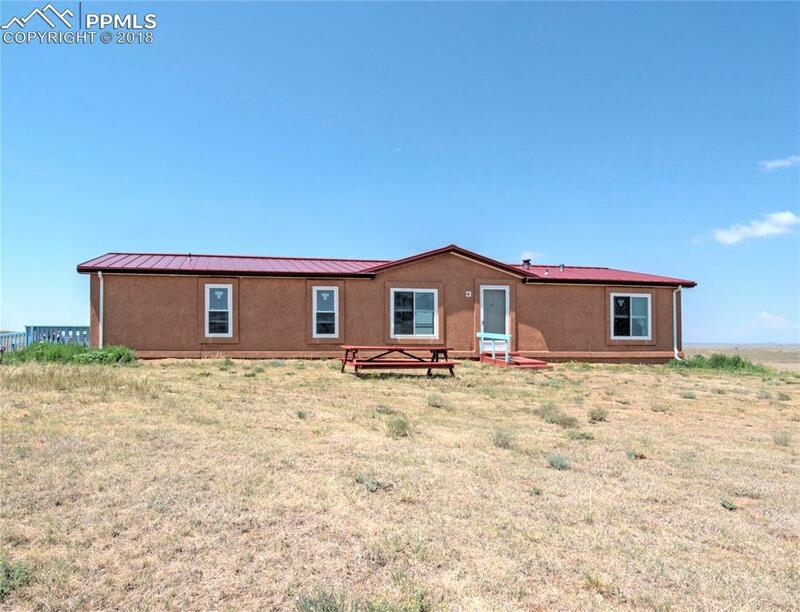 Nice 3 bedroom, 2 bath home on over 33 acres with beautiful views of Pikes Peak. You'll love the open floor plan this home offers. It features newer stucco, windows and metal roof. The home office could be used as a 4th bedroom (no closet). The land is fenced and there is a corral. Bring all of your animals, 4-wheelers, motorcycles and trucks because there's plenty of room to play.